My little puppy, Nuggy-Baby, needed some new winter coats. The first is rather official-looking, but it’s my favourite, made up from Burda 12/2011 #148. Both are lined with fleece for warmth. It’s a dead-easy pattern to whip up. 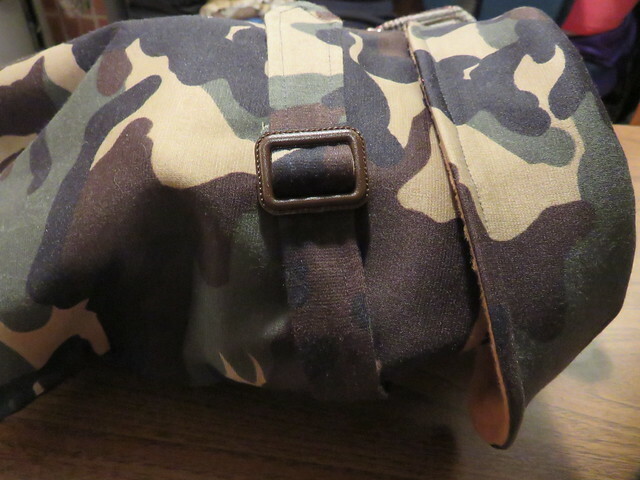 The front closes with velcro with a button for decoration. The coat is kept in place snugly with a belt which is stitched to the CB of the coat. And here’s the “I’m-tough-don’t-mess-with-me” iteration. Oooooo…. Scary tough, aren’t you, Nugget? I love this. Do you know how I would go about getting a copy of this pattern? Burda 7752. I, personally, would purchase the Burda paper pattern instead of the magazine, as you have more design options. 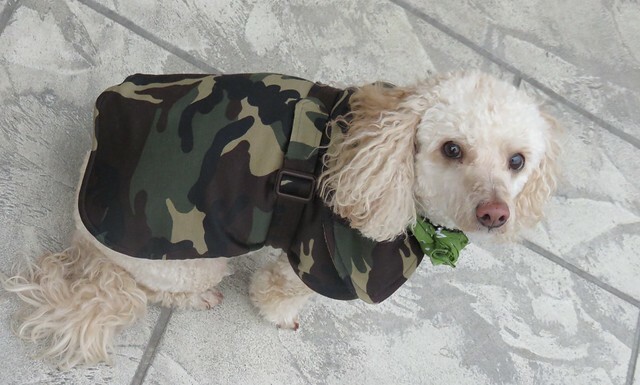 Dogs in coats are so cute. You did a great job! 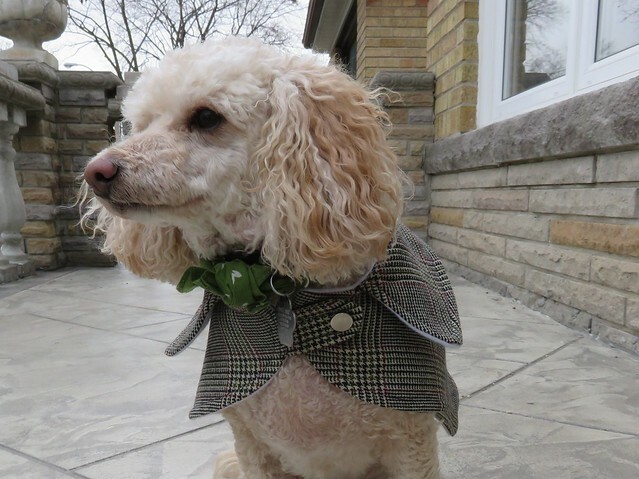 “Dogue” will be calling shortly for a photoshoot…. ;-P very stylish!! Too cute!!! I didn’t realize Burda made dog patterns too! How large a coat can you make from the pattern? I am looking for something for my Great Dane. I think you could slash and spread this pattern to get the size that you wanted. 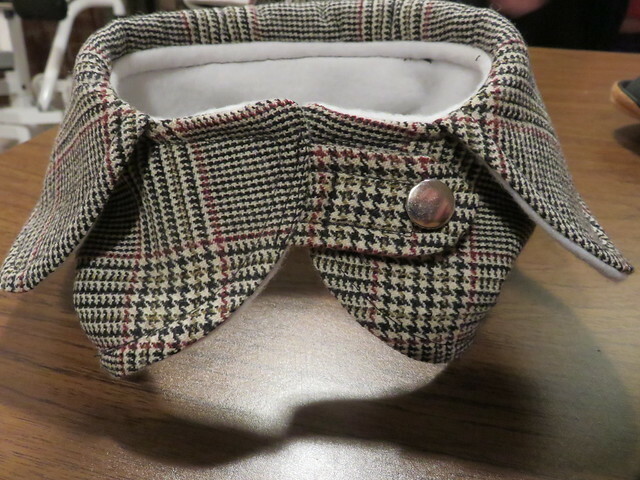 The pattern dimensions are 12″ in length (collar to tail) and 15″ wide.